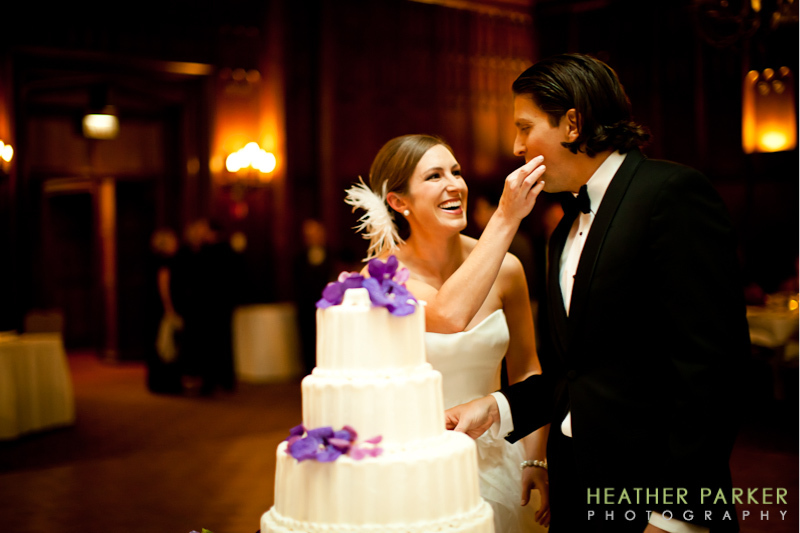 University Club of Chicago is a classic Chicago venue to have a wedding in. It’s an iconic Chicago landmark with great architectural details. 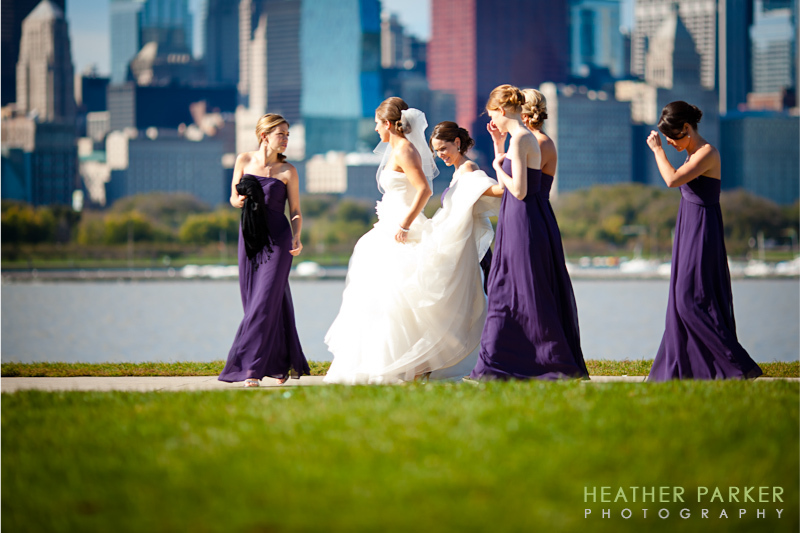 The reason its one of the most popular wedding venues in Chicago is because its right in the heart of the city and located right across from Millennium Park. Orchestra Hall and The Art Institute are very close and out of town guests can enjoy attractions such as the Field Museum, Shedd Aquarium, and of course Navy Pier. 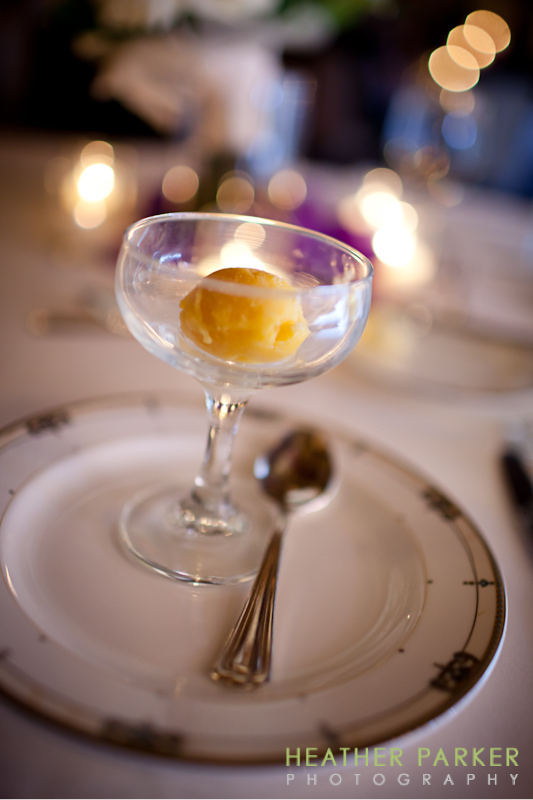 Its always a treat to photograph a classically glamorous wedding reminiscent of yesteryear. The welcoming sight of a fireplace, the warm chime of the dinner bells, and the unsurpassed park views are why so many brides choose this timeless wedding venue to host their wedding reception. 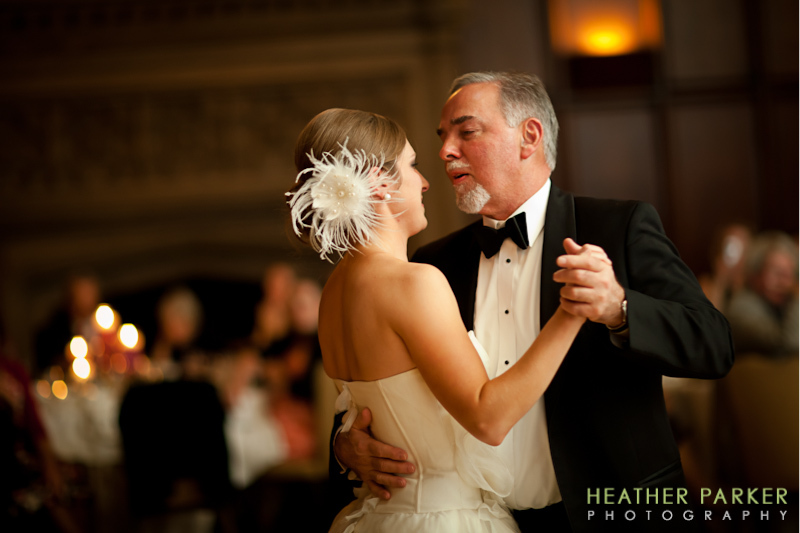 When Sara met with me to talk about her wedding photography, I was excited to shoot in the Michigan Room since I had previously shot in Cathedral Hall. When their wedding day arrived, it was one of the most perfect days filled with sunshine. I began shooting in a suite at the hotel within the University Club of Chicago. 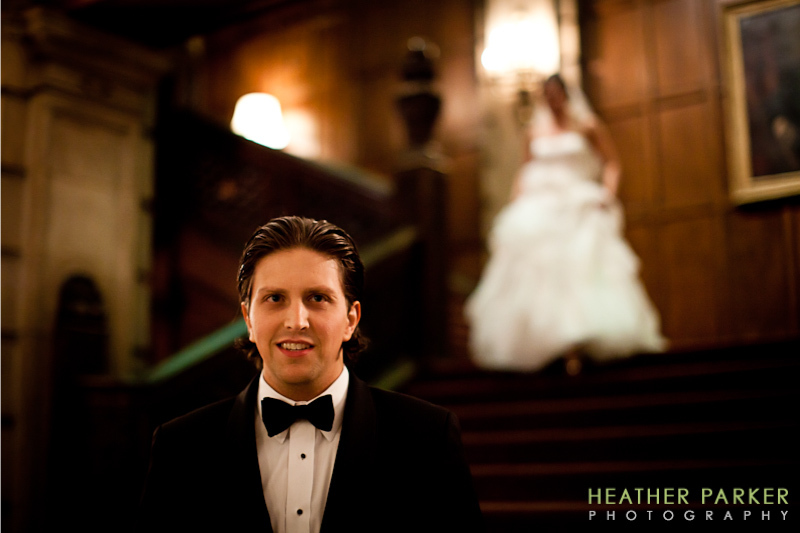 After Sarah put on her Vera Wang and Jimmy Choos, we headed downstairs to the grand staircase where Ryan was waiting for a first glance at Sarah. We journeyed onward via trolley to some pre-selected locations for photos with the bridal party. While a lot of couples enjoy smiling in front of landmarks, some of the more special moments are the candid ones. I love how Sarah’s attendants are smiling, helping her with her gown, and looking back to see that everything is just right. 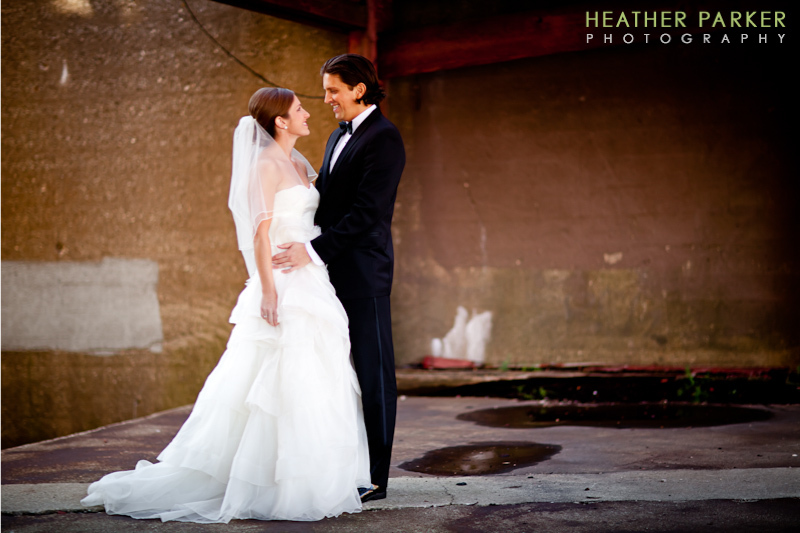 The next photo was from an impromptu stop at a location that provided a some urban decay contrast paired with a stunning couple. 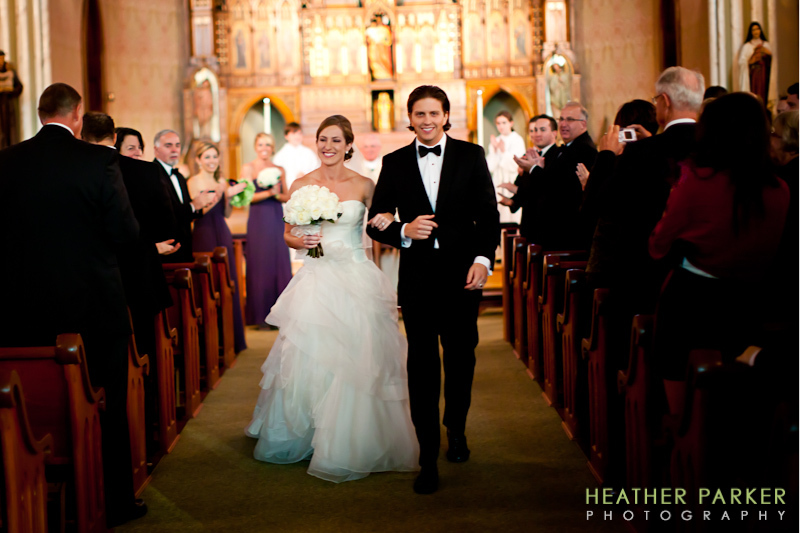 Ryan and Sarah were wed at St. Joseph Church with a packed church full of family who traveled as far from Minnesota, South Dakota, and North Carolina. The bride’s 3rd grade students were also in attendance to see their teacher marry. Dilly Lily rocked the centerpieces, cake florals, and bouquets with hydrangeas and glass cylinder centerpieces wrapped in leaves. They also added a modern flair to classic glamour providing some tables with the popular floating candles. 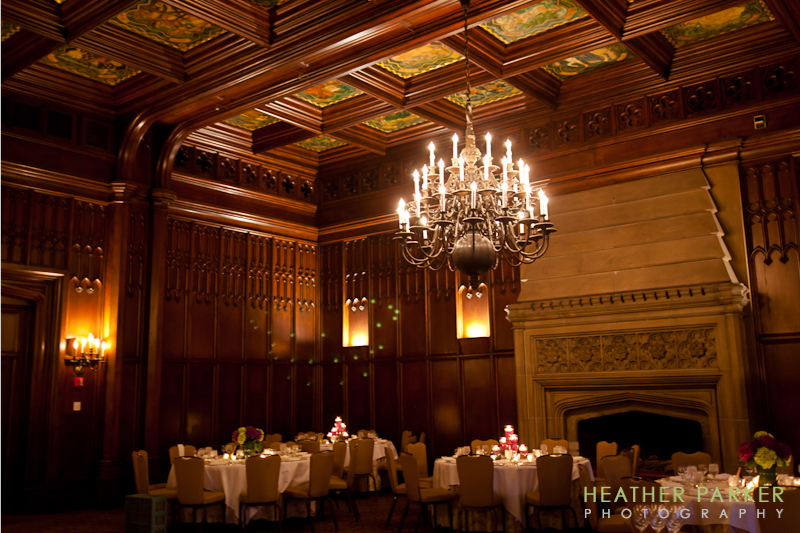 Like Cathedral Hall, the Michigan Room has an impressive stone fireplace, rich mahogany walls soaring to a hand-painted ceiling, and signature stained glass windows. Etsy veil was from Bella Bridal Veils.